With Audi introducing a TFSI turbo-petrol in its second generation Q7, there are now aplenty options in the Rs. 70 lakh - 75 lakh price range if you are in the market for an SUV propelling on petrol power. It looks like petrol engined large SUVs are not redundant anymore - diesel car sales fell to 27 per cent in 2016-17 versus 34 per cent in 2015-16. While a good chunk of this shift towards petrol engined vehicles comes from smaller cars, premium cars and SUVs, definitely have a role to play in this too. 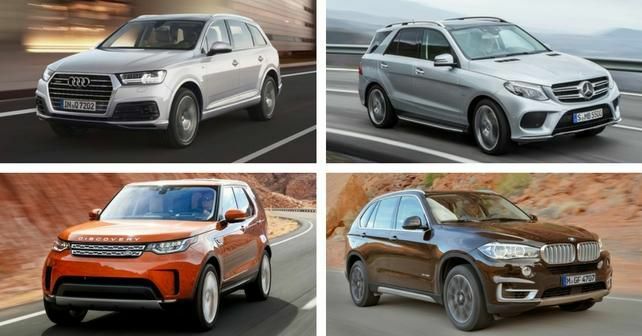 In addition to Audi’s Q7, there is the recently launched Land Rover Discovery, and of course - BMW X5 and Mercedes-Benz GLE. Below is a detailed specification comparison of these large petrol SUVs to help you judge better. All these SUVs stay true to their respective company’s design philosophies. The latest Discovery incorporates Land Rover’s sleek new design elements to its characteristic boxy shape. Throw 7 seats and Land Rover’s capable 4WD system into the mix - and you have an off-road friendly family hauler right there. The second generation Audi Q7 is smaller, lighter and sleeker than its predecessor. The overall profile of this SUV is lower than most others here, and interiors flaunt superbly built materials. If the Mercedes-Benz GLE looks very familiar to you, then you’re not wrong - it is a M-Class with an all-new name. So, it is the oldest vehicle of this group, and boasts that old-school SUV appeal - if that’s your thing. The X5, too, looks unmistakably BMW inside and out. It's not the most intimidating SUV here - but carries that sporty appeal you expect from any vehicle from the Bavarian carmaker’s stable. At Least on paper - the Audi Q7’s 2.0-litre, 4-cylinder, turbo-petrol gets dwarfed in comparison to the 6-cylinder motors that others offer. Therefore, that makes the petrol engine on the Q7 the sole motor here that produces south of 300 bhp. Audi has used turbocharging to extract maximum performance from this 2.0-litre engine, but ultimately - it falls quite short of the numbers produced by others. Since all of these are proper large SUVs - their drivetrains feed power to all the four wheels, so that the end of tarmac does not limit their capabilities. However, if you belong to the niche who’ll do some serious off-roading in your Rs. 70 lakh+ SUV - then you’d be better off sticking to the Discovery. The Land Rover is the only one here to feature a proper 4x4 system - as opposed to AWD systems of others. All four SUVs feature ventilated disc brakes on all four wheels. However, its only Land Rover and Audi which feature air suspension. With a total of 4 variants on offer - the Discovery offers the most extensive petrol range, the Audi, in comparison, offers two variants in its petrol avatar, and sports the lowest starting price. If you wish to opt for either Merc or BMW, you’d be stuck with only one petrol variant on each. It's worth noting that both GLE and X5 are also available with bonkers AMG and M variants respectively - but the explosive performance they offer also elevates their prices considerably. 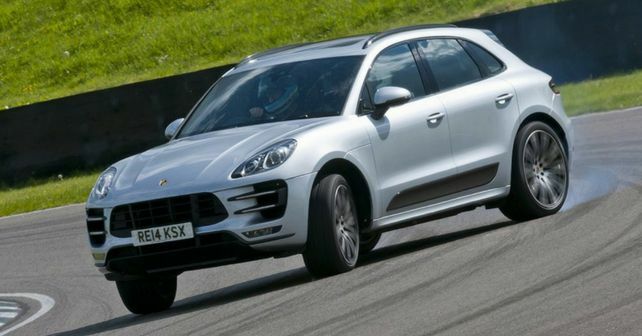 For approximately the same price, you can buy yourself a Porsche Macan R4 petrol (Rs. 71.15 lakh, ex-showroom), which draws its power from a 4-cylinder turbo-petrol motor, with the exact same power figures as the Audi (they share the same engine basically). Don’t get confused though - the Macan is a totally different animal, for it is a size smaller than all the aforementioned SUVs. However, it's a lot more exclusive.